It’s a New Year (yay, 2018!) and a popular time to start setting new goals. Setting goals is an important part of improving your life and pursuing positivity. However, I think how you set goals is really important. It’s easy to get pulled into setting grand goals, but we all know we usually don’t stick to those. 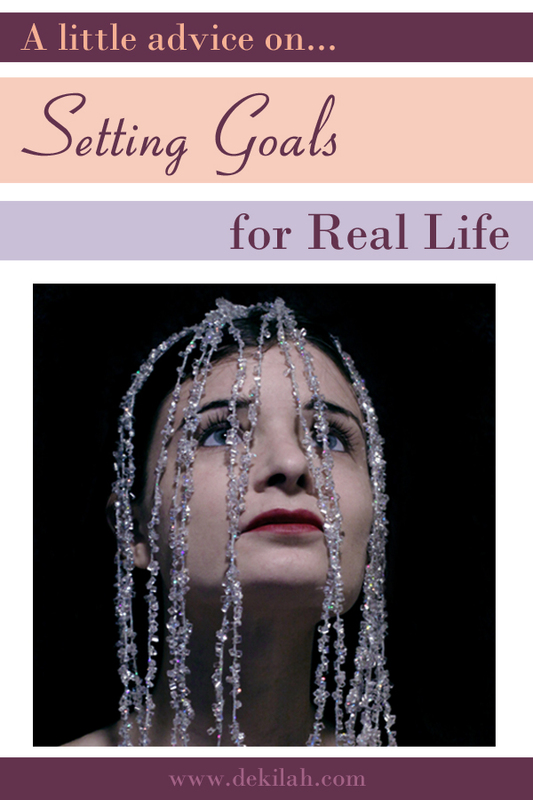 So I’m going to share some of my tips on how I effectively set goals. First, you should decide what your goal really is and try to determine what the smaller parts of it are. Most goals we set are actually made up of two more smaller goals. It’s important to recognize those if we want to set effective goals. For example, a lot of people want to work on losing weight. That goal is really at least two things: eating better and working out. It might also mean setting that appointment to speak to you health care professional, too. In fact, I recommend it! Models and photographers might resolve to shoot more. That includes things like more promoting and networking as well as actually booking more shoots. Those of us with businesses often want to increase our social media presence. This would mean things like increasing followers, getting more interaction, and conversion of followers to customers. So as you jump into setting goals, make sure you’ve broken those bigger goals into at least two smaller goals. I’ve found that writing them out, even if it’s just in a quick note on your phone, can be quite useful too. So now that you know the parts, you can further clarify those goals and how you’ll achieve them. Choosing small steps in a reasonable amount of time is the next part of how I like to set up my goals. For our first example above we might be tempted to say “I’m only going to eat healthy things, I’m going to cut out all sweets, and I’m only going to drink water!”. Sure, all of those things would be great, but they’re going to be difficult to stick to or track. Try choosing a more specific, reasonable goal. Something like “I’m going to focus on cooking a healthy meal for dinner at least 3 times a week” or “I’m not going to drink pop for two weeks.” Also, I might suggest just choosing one of those things to do at a time. Try setting your goal for two to four weeks. Then add on as you feel the first goal has become a solid habit. Keep it to something you can do in 10 to 15 minutes or less. You can add to it as you go, but you’re more likely to stick to it if you start small. So remember, break those big goals down and set up small steps with set time goals, too. Bonus Tip: You might also find it helpful to use a checklist app or a physical planner to keep track of your goals. Finally, let’s talk about rewarding yourself. I’m sure some of you think rewards are just for kids. However, they’re still a big part of adult life, even if we don’t recognize them as such. Working toward goals might be enough motivation for you, but I’ve found that allowing myself a little reward when I reach my goal gives me something extra to work towards. Let’s talk examples. Maybe your goal is to work out more and you decide to work out for 30 minutes 3 days a week for a month. Once you reach that goal you could buy yourself a new set of weights or invest in an online training program. Perhaps you want to start cooking at home more and when you reach your goal for that you might try a meal delivery kit service like Blue Apron or Hello Fresh. Alternatively, you could choose a related reward like new silverware (something I did recently) or a new kitchen gadget you’ve been wishing for. You might also choose something unrelated that just happens to be something you like. It could be something like a nice meal, a movie, or a new video game. You know yourself best so you can choose a reward that works for you and your budget. Now that you know how to break your goals down, create small steps, and reward yourself you should be ready to go. Now go get on those goals! I’d love to know what your goals are so please share them in the comments! If you enjoyed this blog post, feel free to share it everywhere and maybe leave me a little tip on Ko-Fi or PayPal via the buttons at the bottom of the page. I’d really appreciate it! And if you’d like more little bits of positiity, make sure to follow me on Instagram.